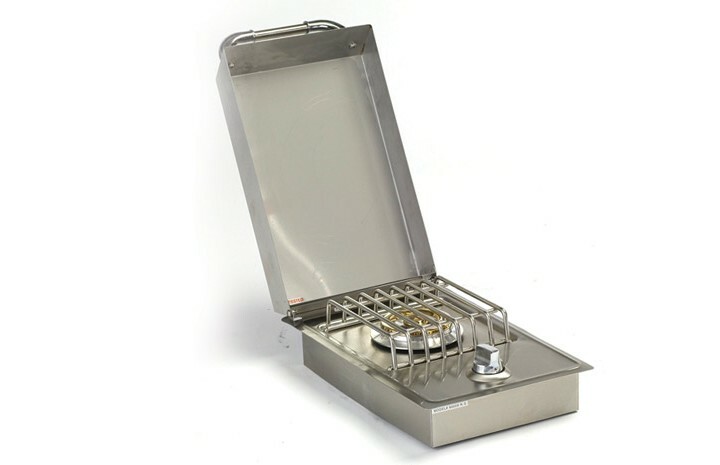 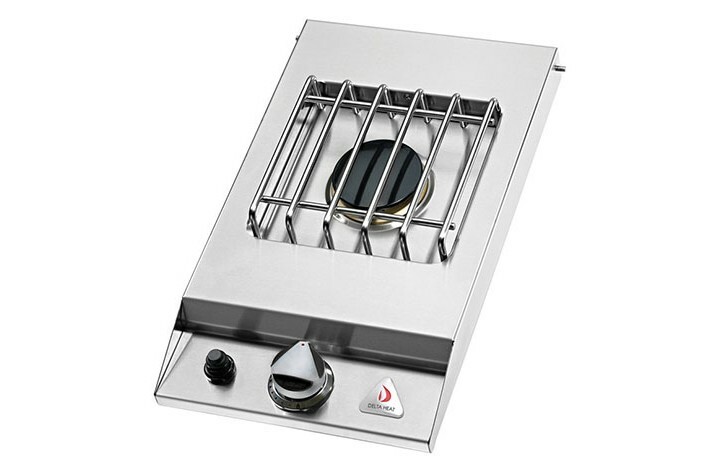 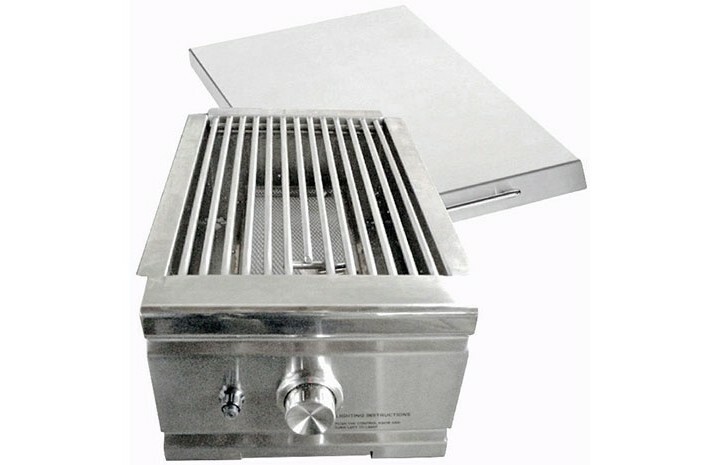 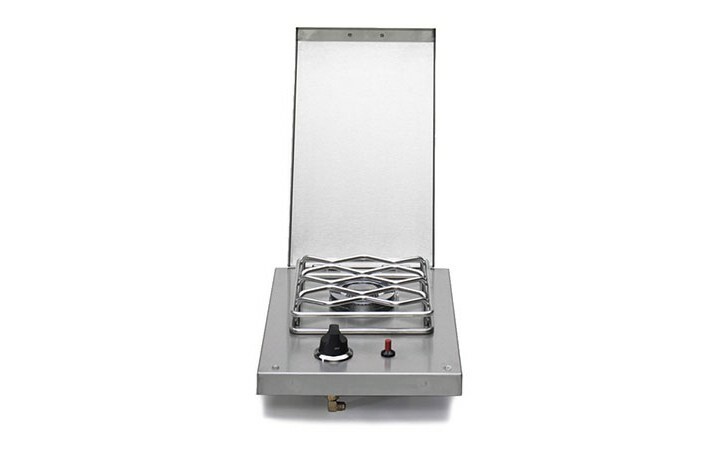 We often ask our customers “would you like to add a Side Burner to your project? 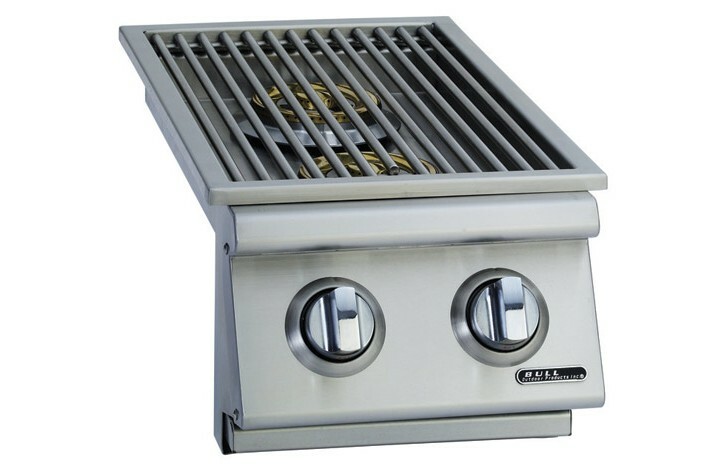 Most of time the answer is “We had a side burner on our cart grill and never really used it”. 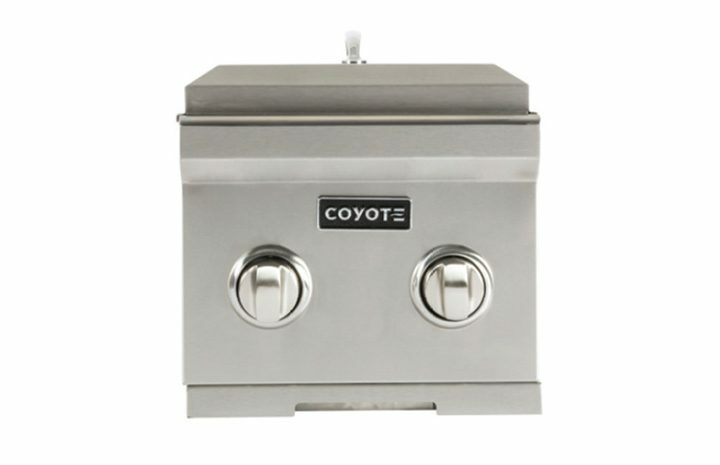 The outdoor kitchen functions differently than a cart grill and with the additional counter space it allows you to prep and cook more items comfortably keeping the mess and smells outside. 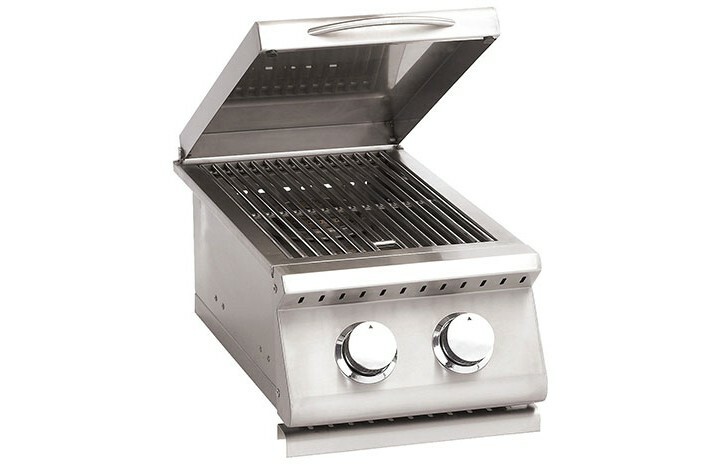 Adding a side burner to your Outdoor Kitchen project will add functionality and allow you to prepare a complete meal. 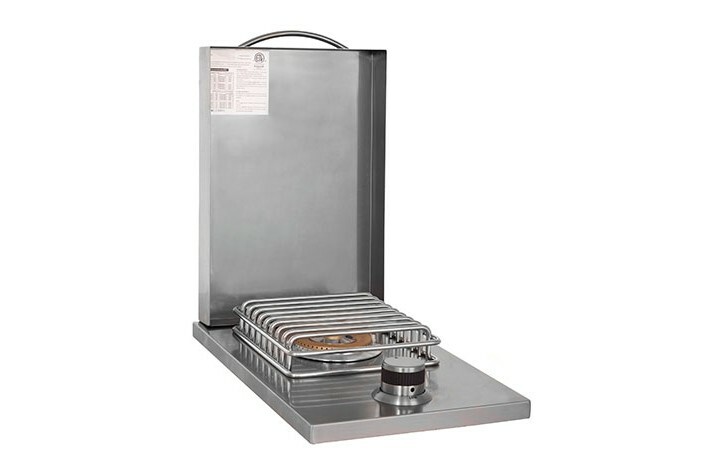 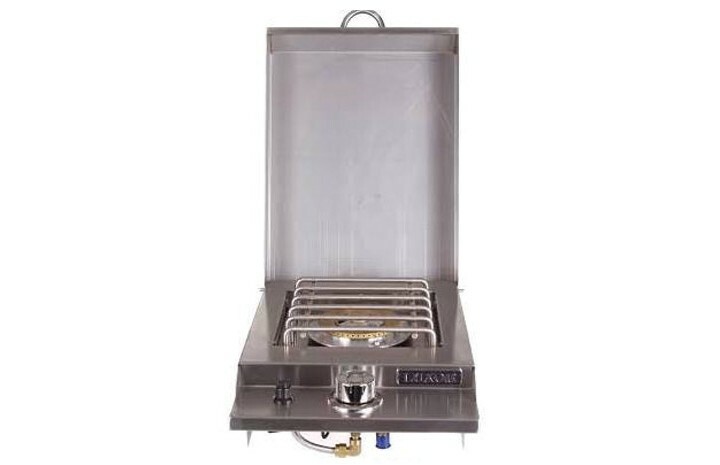 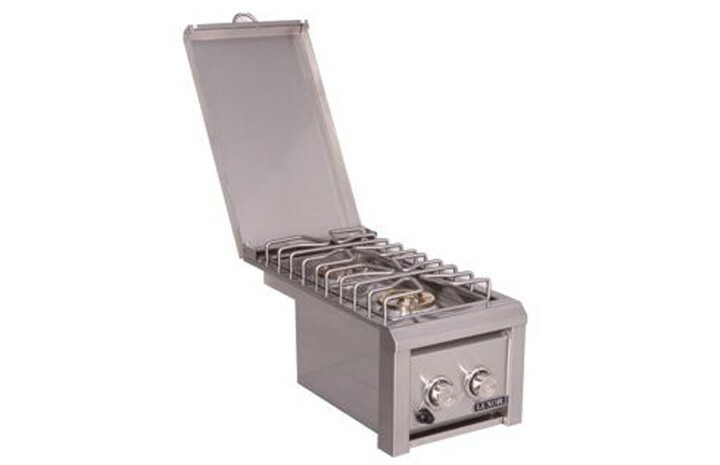 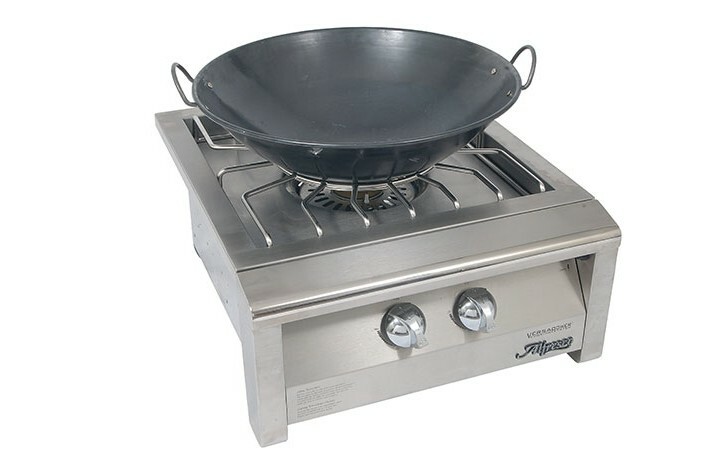 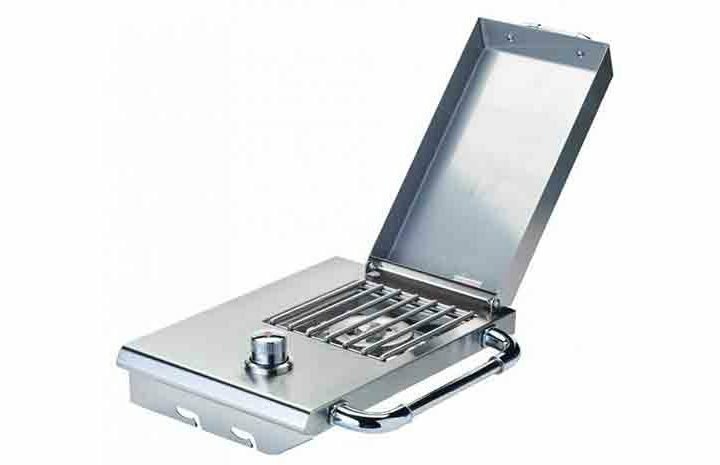 My first outdoor kitchen didn’t have a side burner, my second outdoor kitchen has a double side burner and purchased a griddle to go over it with a grease trap. 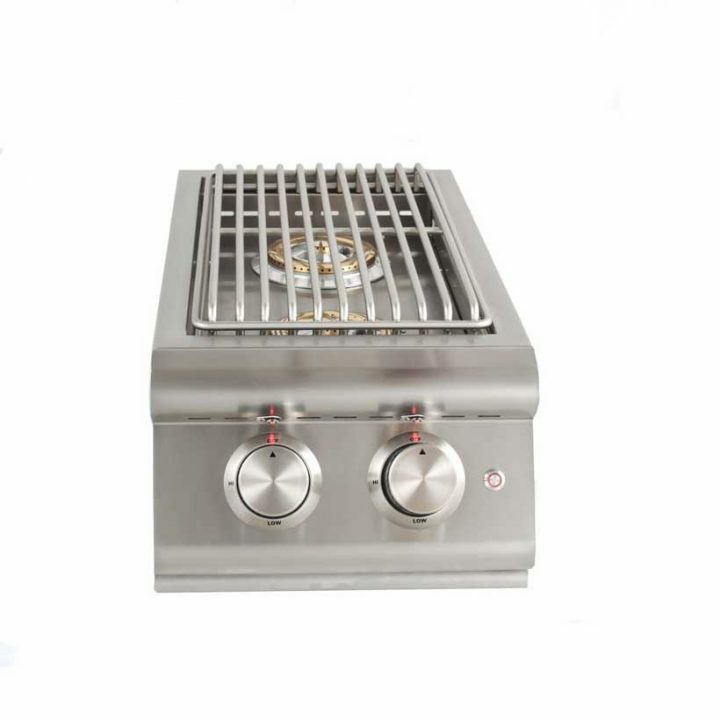 It is fantastic for bacon and eggs on a summer morning. 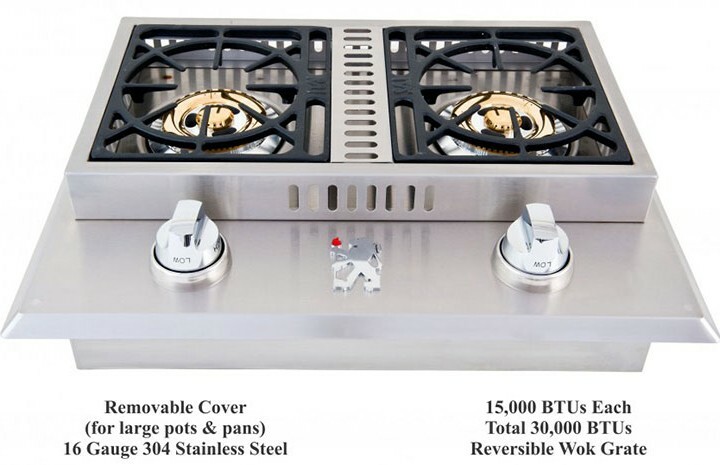 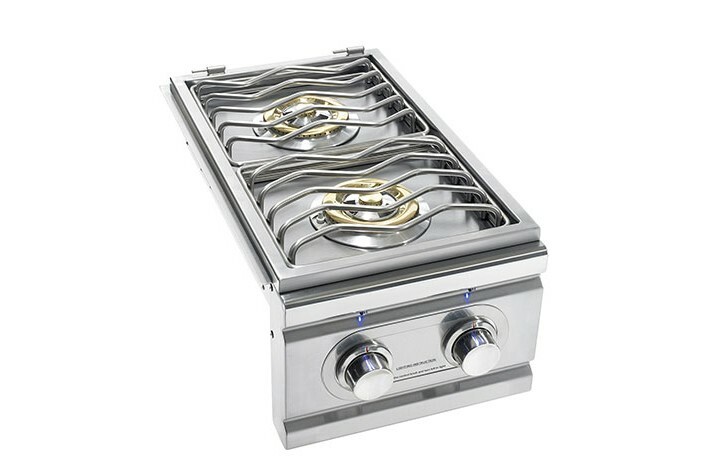 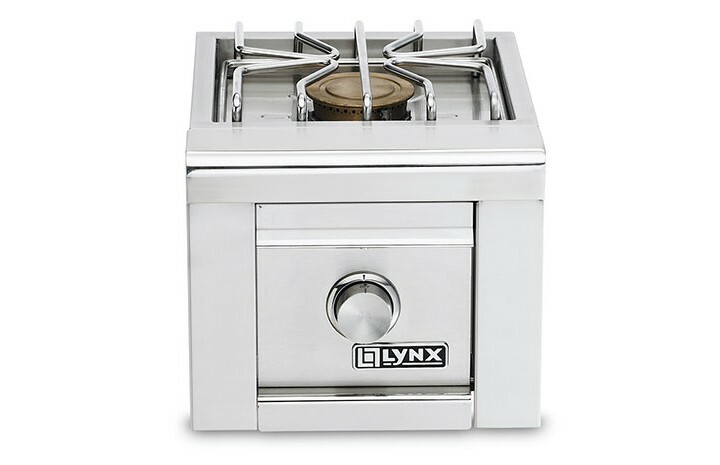 Burners are typically divided into 3 categories, Side Burners provide 10-30,000 BTUs, (About the same as your inside gas range) great for cooking pasta, corn, making sauces and keeping meals warm. 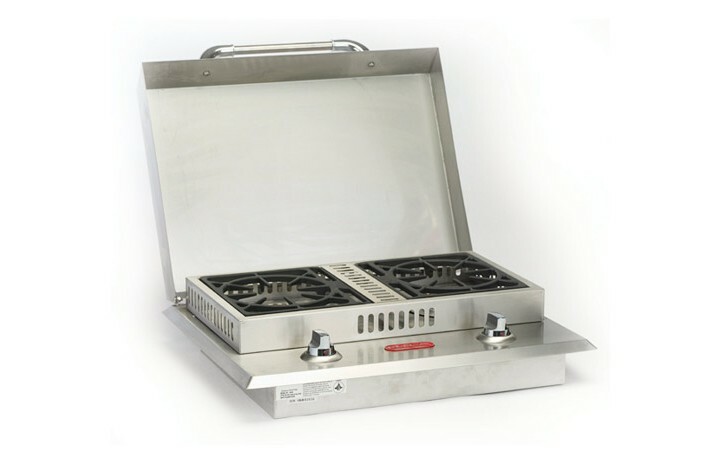 Power Burners provide up to 100,000BTUs and are used to heat large pots and pans and also steaming crabs. 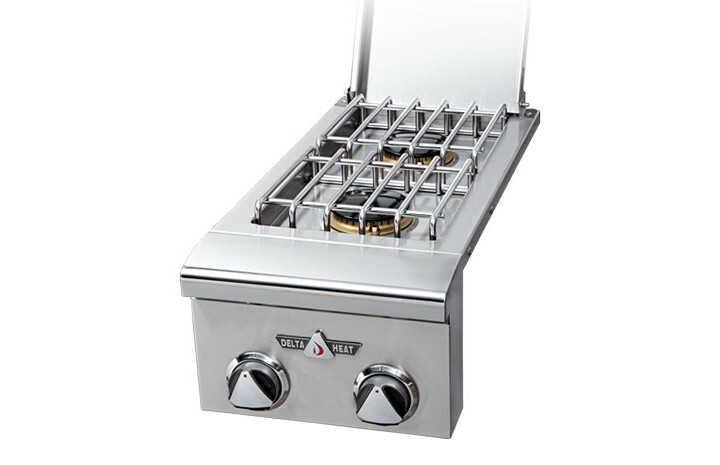 Sear Burners for intense heat up to 1200F for searing meats to lock in the natural flavors.